In Dramaland there are many tropes. Some we love, some we hate and some we secretly love and are extremely giddy when they happen! When I think about love triangles, I tend to roll my eyes, think they are overdone and pointless. BUT! When I’m watching a drama and there is a love triangle I lap it up. That isn’t to say I love every love triangle. 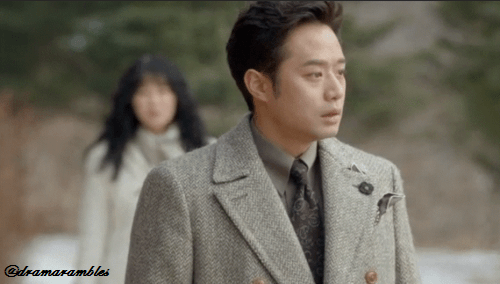 They definitely have to be well done and that isn’t always the case in dramaland. Even so, there is still some sort of enjoyment I gain when watching ones I hate. There is another small trope which fits with this, and the point that follows and this is ‘The BreakUp Neither Wants’. I like this trope because it is something that the main couple can overcome and sometimes it shows how much they really do care for each other. I’m not going to lie, these moments cause me so much pain and can be rather annoying, especially if they are unnecessarily dragged out for too long. However, the aftermath, where the two mains come back into each others lives in a romantic sense is always something that makes me feel giddy and warm. This is definitely a trope that (same as love triangles) is used in pretty much every drama made. There always has to be opposition to the main couple and why shouldn’t that come from a family member (normally the male’s because they are rich and seem to hate all poor people – more on this later!). I know it’s weird to like this, but if it well done, then it adds so much tension and then a great thing to see the main couple overcome. Also, it often reflects something that is going on in the background and that kind of character building is great because it can be used to show that all of these characters have “lives” that you haven’t/don’t see in the drama. Again something that happens so much in romance dramas. I should find this cliché and a little sexist, but I don’t. I especially like when the rich guy is spoilt and the woman is hard-working feisty. If you love this trope, what is your reasoning? I touched on this in the point before, that most of the men are spoilt and/or have bad attitudes at first. I like this because it allows for character development that can be visibly seen and allows for other characters to react to. I like how we can see that they act differently to the people they care about as the drama progresses and we see more of their “life”. And of course, there is the obvious reason why I like it and that is because we can see how the main lead female causing this bad attitude to be swayed throughout the drama. The way the main male lead then unknowingly acts nicer to her (which can cause some funny internal struggle for him) and how they also sometimes act nicer to others because of the female lead. But when they do, even if they are random or weirdly lit I still like that it shows an intensity and also a tension in the characters mind which their personality may not be able to express in any other way. What are your favourite drama tropes? These are all excellent! I’m also a fan of mean male lead who discovers his feelings as the drama goes on, rich guy/poor girl, and who doesn’t like the shower scenes! The other trope that is one of my ultimate favorites is the Noona Romance 😆. I love Noona romances too. There really needs to be more of these! I love a good triangle! I prefer intensity rather than having a token second male lead who really stands no chance. I also like for there to be lots of character growth from the guy thanks to his love the girl. Nice list.